Below is an email sent out to all subscribers of the band's mailing list following the band's brief reunion in 2001 for a Sonic Youth tv show. tv news Just had a note from Channel 4 this morning that the Sonic Youth Pioneers thing that Ride reunited for last month is going to be shown next week! There was me thinking that we had loads of time to get a video clip and a sound clip up on the site before the expected transmission date in January... Anyway, the programme is on on 5th December at around 00:20 (I suppose technically that means that it's actually on 6th December - Mark's 32nd birthday as it happens!) and there'll be an interview with Mark and Andy and footage and sound from the 2 hour jamming session in London last month. We're still going through the camcorder footage and the sound recording that we made of the day and so we'll now see what Channel 4 show and then decide afterwards what to put up at rideox4.com. The sound recording runs to about 35 minutes in total and we're toying with the idea of making it available in some limited form. No fixed ideas yet but it would be cool to get it out into the world in some shape or form. Any ideas welcomed. Post them on the guestbook on the site. Other news includes a cover of Dreams Burn Down by Oxford alt-country popsters, Goldrush, this week on their Steve Lamacq session on Radio 1. It's probably going to be in Thursday's show. The missing interview questions from Steve on the ox4 site should be going live soon too. Also the Box Set is now available once more in the stores of the land. The re-pressing has arrived and you can get it off the shelf or off the web via the shop on the Ride website. Unless there is further substantial demand this will probably be the final processing of the box set. Most of the old stock of t-shirts have now gone. There are a few left of the Going Blank Again design and the Reading Festival design. 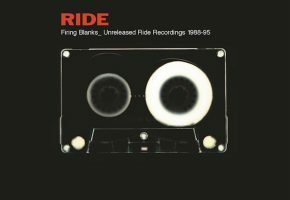 Demand has been very high over the past few months and we're thinking of producing a new T-shirt for early next year featuring the Ride record-sleeve collage logo that is the header on the site. We'll keep you posted of course. Thanks also for joining up to this list. Would you actually believe that it is now larger than the list was back in 1994! Below is an email sent out to all subscribers of the band's mailing list when the band briefly reunited in 2001 for a tv show. yesterday's moment of surreality So yesterday at the John Henry rehearsal complex in North London, Andy, Mark, Steve and Loz all turned up, set-up, plugged-in and put together about an hour's worth of un-rehearsed sonic jamming to accompany the forthcoming series of Channel 4's Pioneers. The show is about the influence of Sonic Youth and is effectively "presented" by Andy and Mark. They talk about Sonic Youth's influence generally to 90's music and specifically the influence on the then-fledgling Ride. As part of the idea for the show, the producer had asked Mark and Andy to play 10-15 minutes of guitar-based feedback which they wanted to film and use as a backdrop to the programme. 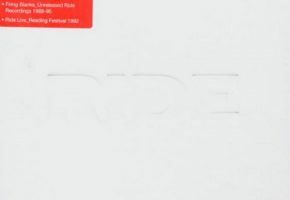 It was Andy's idea that if he and Mark were going to get together to talk about Sonic Youth's influence on Ride then any "performance" to accompany the programme should feature all 4 ex-Ride members. Mark flew in from France for the day, Andy delayed his return to Sweden after the Oasis tour for a day and both Loz and Steve managed to juggle their existing commitments to make way for the day's filming. Everyone arrived about 11 and everything was set-up and ready to roll about Midday. Once the TV people had sorted their sound and camera positions out, the band started to work on a loose jam that they'd put together on the spot. It was a simple recording - one stereo mic for the drums, one bass mic and one each for Andy's and Mark's guitars. No vocals. It was truly amazing how quickly the whole sound slotted into place, that old adage about riding a bicycle was never more appropriate. There was a break while the sound levels and the overall mix were checked: and also while the lighting team sorted out their part of the equation. After a spot of lunch the band started playing about 1:30 with the cameras and the tape rolling until it came to it's natural conclusion about 2:15. Mark and Andy then filmed the interview and they all packed up and went their separate ways - Mark and Andy off to Heathrow for their respective flights, Steve back to Oxford and Loz back across London. It was very strange to witness how natural the whole event was and also how enjoyable and inspirational it was too. They talked about whether to base the jam on perhaps Grasshopper or even the middle section of Drive Blind but in the end a completely new piece of music came out of the day. There will some snaps of the day and maybe some camcorder footage up on the Ride site in the next couple of weeks or so - don't touch that dial. Below is an email sent out to all subscribers of the band's mailing list following the release of OX4. hello this is just a quick note to say that the web shop that sits next to my office here in Oxford has just had it's stock in of the Box Set, the CD and Vinyl Best Of plus all the catalogue albums. It's the same web shop where we've been selling the remaining Ride T-shirts that had been filling up my garage for the past few years. There are only about 40 T-shirts left now and after those have gone that will be it, I'm afraid. So go off shopping to www.oxfordmusic.net if there's any gaps that you still need to fill. Also you've probably seen some of the reviews and interviews that have been going on around the release. 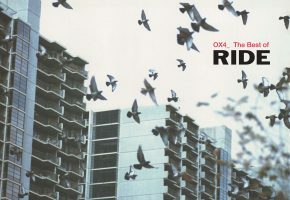 Conveniently the Ticket To Ride site (linked from www.rideox4.com) and the www.creation-records.com/ride site (a fan's creation records site) have got a full list of all the recent activity with links and downloads of sound files so that you don't miss anything. Thanks to all of you who've signed up to the Ride email-list, it has been quite frantic both on the list and on the website guestbook. Things have been selling well: the Box Set, Nowhere, Going Blank Again and the Single Best Of CD have all had to be re-pressed already. It's been really exciting to walk into record shops and see the "ride" sections full once more. That's all from me but since I'm sat here with Andy at the moment I thought it only right and proper to leave him with the last word. Dave Newton Dear all: YARBLES!!! with love Andy Bell p.s. look out for the secret track! Below is an email that was sent to all subscribers of the maling list following the launch of the new RIDE website to promote the OX4 Box Set. "Well you lot have been busy. There are loads of you now on the re-vamped mailing list and here's a little bit of news to keep you posted of what's going on. The reviews of the Best Of are starting to roll in. So far a 4/5 in Uncut and the same in Rocksound. And even a 5/5 in Record Buyer Magazine. The re-mastered etc. catalogue is now out in the shops in the UK (and I trust available on all reputable web retailers) and the Best Of and Box Set will hit the racks on Monday week (24/09). We're still working on a release outside of the UK but realistically this won't be until the New Year at the earliest. There are some articles coming up in The Guardian and the Sunday Times and also a piece soon in MOJO magazine. 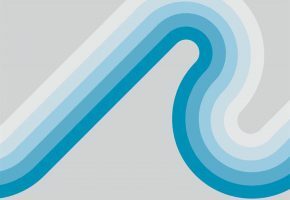 There's also going to be an interview up on NME.com imminently and both Mark and Steve have promised to finish their Q&A for the rideox4 website very very soon. The various club nights around the UK that are featuring the Best Of on special Ride nights are all listed on the website and we're hoping to run a competition soon on the site so that you can win free tickets to these events. Steve Lamacq has got an interview with Andy and Mark on his Radio 1 show next Monday and they'll also be loads of other radio and press bits and bobs around the release (maybe even a re-run on Top Of The Pops 2 on the telly). 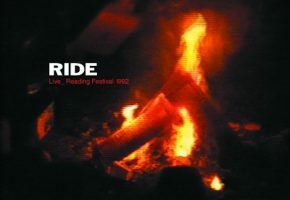 There's a feature on Ride on the www.creation-records.com site with exclusive interviews with the various ex-members and do always keep an eye on the Ticket To Ride Online site too - www.mareasub.it/ride. Please keep posting stuff on the guest book, as you will see Loz has posted there himself and all the band will try and answer any questions up there whenever they can. Must go."